If by now you are not familiar with fellow blogger Jivtesh Singh, it’s time for you to go take a look at his work. Jivtesh has set out to disect the Microsoft Dynamics GP community by the numbers in his latest article Dynamics GP Experts. In addition, he has worked tirelessly in putting together what I have denominated The Mother of All Blogs. Yes! Jivtesh is the author and matermind behind the now popular GPWindow (see my previous article GPWindow: The next best thing after the Microsoft Dynamics GP 2010 Cookbook). In his latest iteration of the popular site, Jivtesh has incorporated searches to all the Microsoft Dynamics GP community forums currently available. If at first you complained about not being able to search every site for what you are looking for, there are virtually no excuses now for not being able to find a specific topic across the spectrum of resources across the community. Jivtesh already did his part, now you do yours! Check out GPWindow, do a few searches on something you could not find before, see what comes back. But more importantly, let Jivtesh know what you think about his work. After all, he’s only spent over a year and a half putting it together as, like you, he had trouble finding things with the growing number of resources. This entry was posted on Sunday, August 22nd, 2010 at 5:07 pm and is filed under Around the Blogosphere, Community. You can follow any responses to this entry through the RSS 2.0 feed. You can leave a response, or trackback from your own site. Mariano,Thank you for your kind words – they mean a lot!Your post, especially the picture, has made me smile a few times now :)I love it, don't get me wrong! 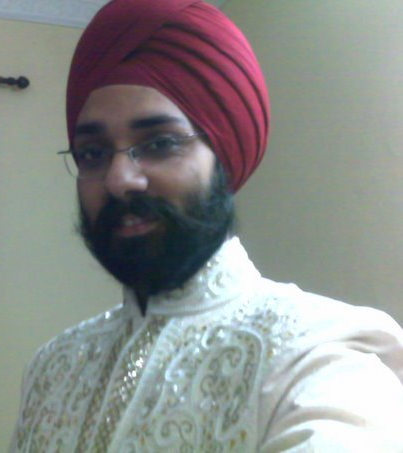 Just that its my wedding suit, which I wore just once in my life, I don't always look like this 🙂 My other friends and colleagues who read your post were most amused – they thought I gave this photograph to be put up on a professional website as yours :)I am still smiling as I write this. Thank you! Just a word of appreciation to Jivtesh for providing a stupendous site for all the GP users.Kudos to you Jiv!! Keep up the great work.